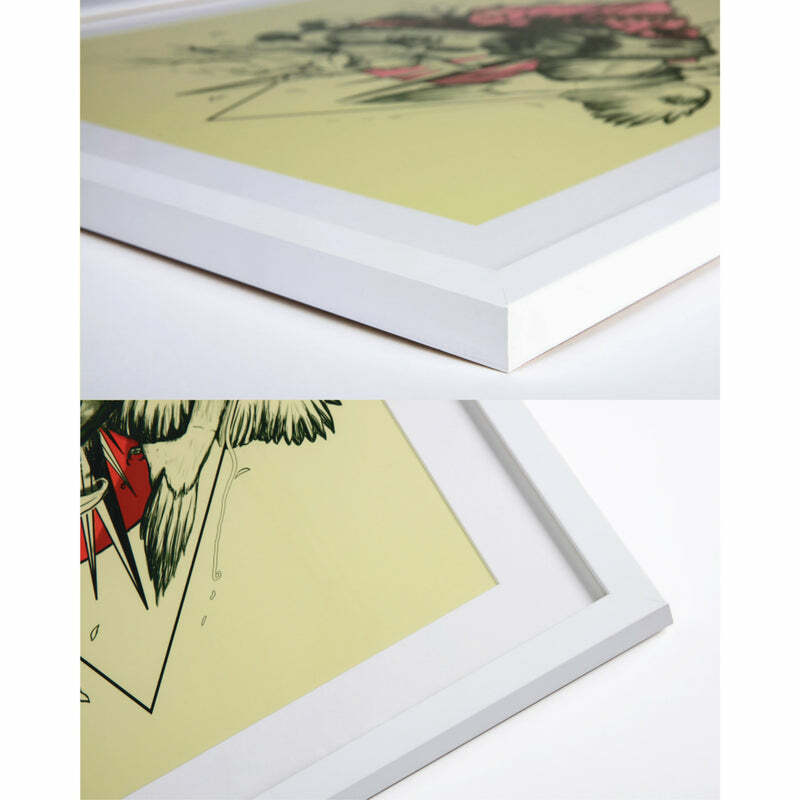 The original artwork was the 11th piece for my "Year in Japan" series of 12. 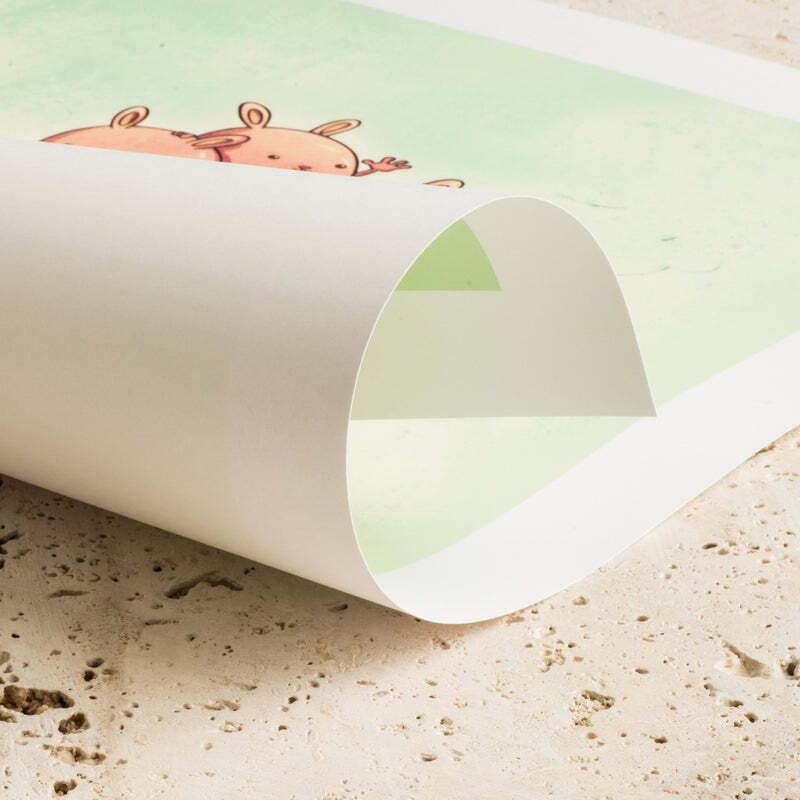 It was created using Copic markers and pencil on watercolour paper. 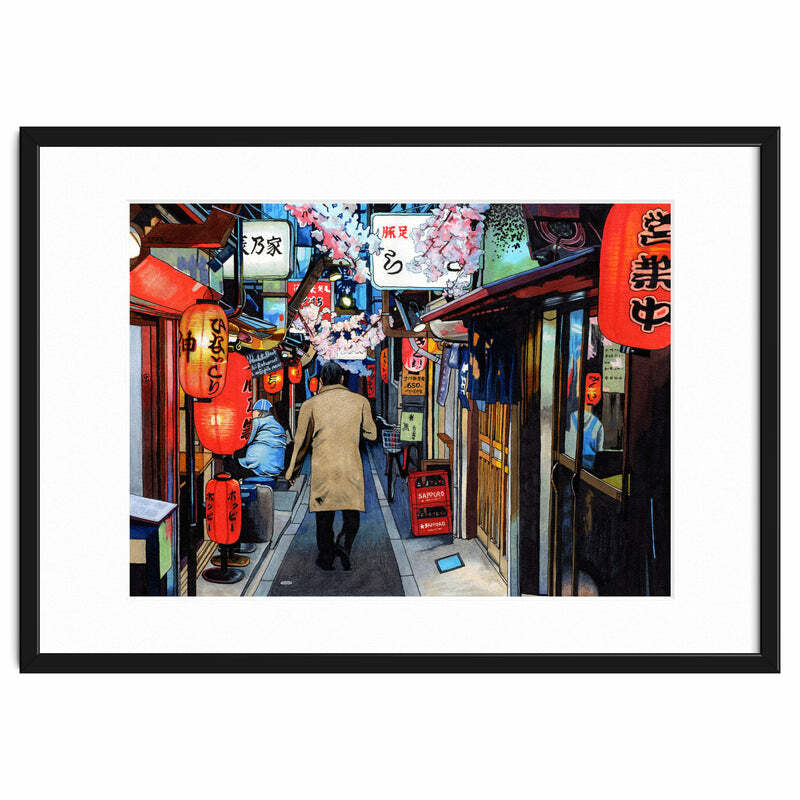 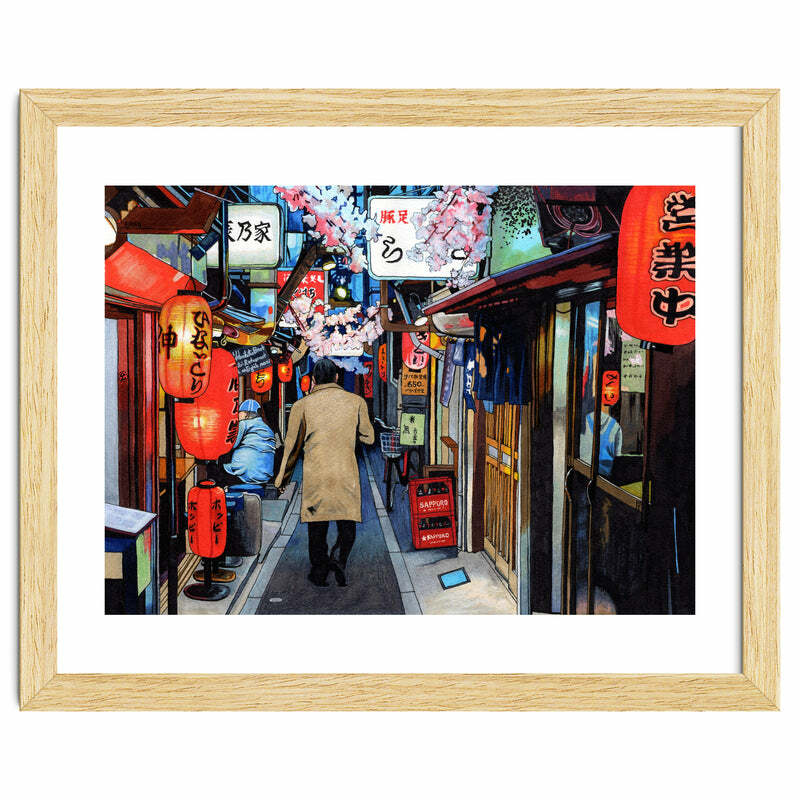 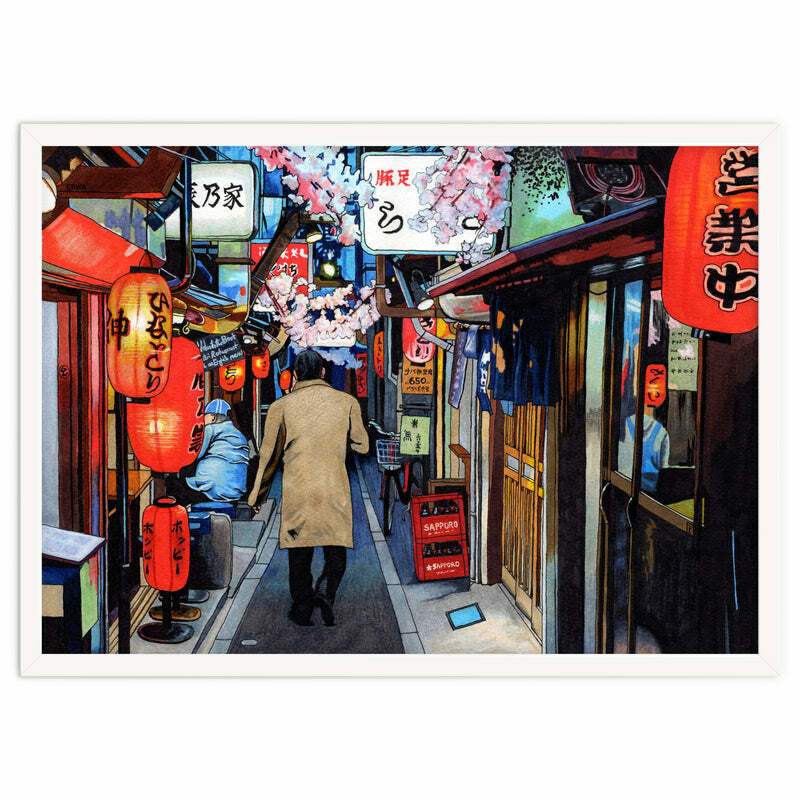 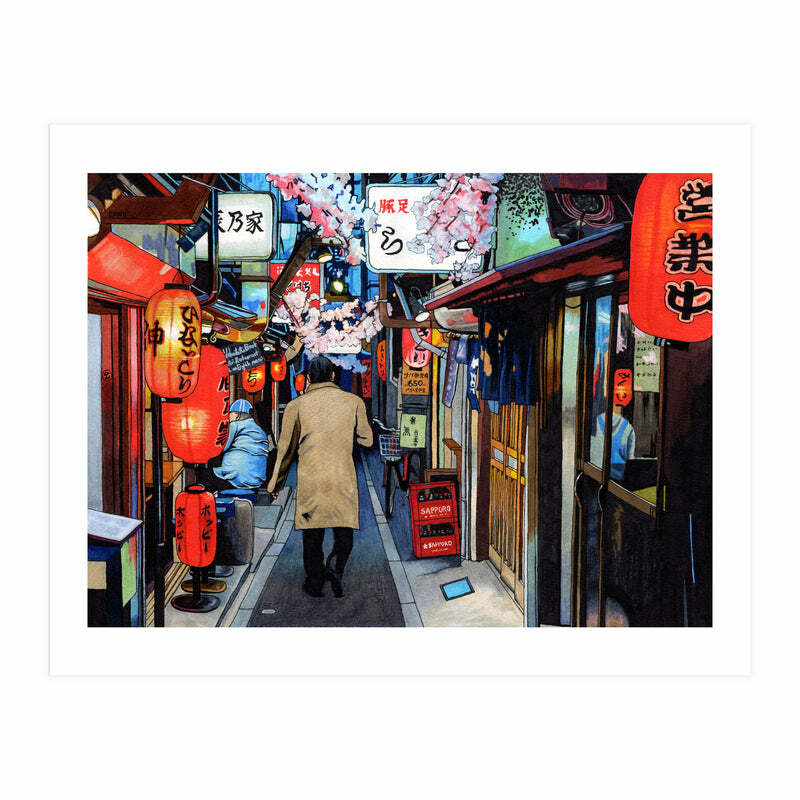 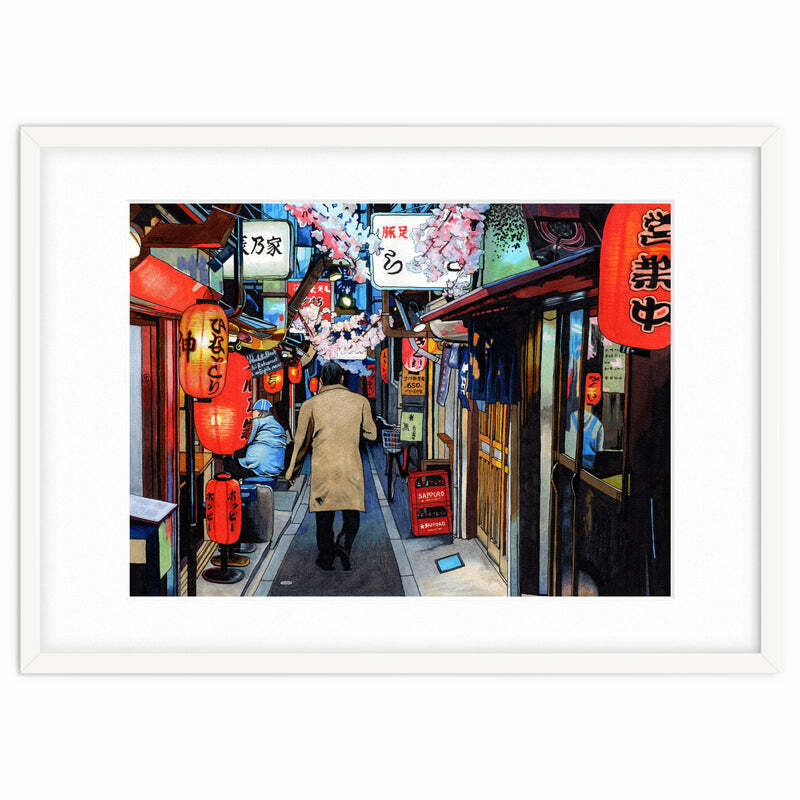 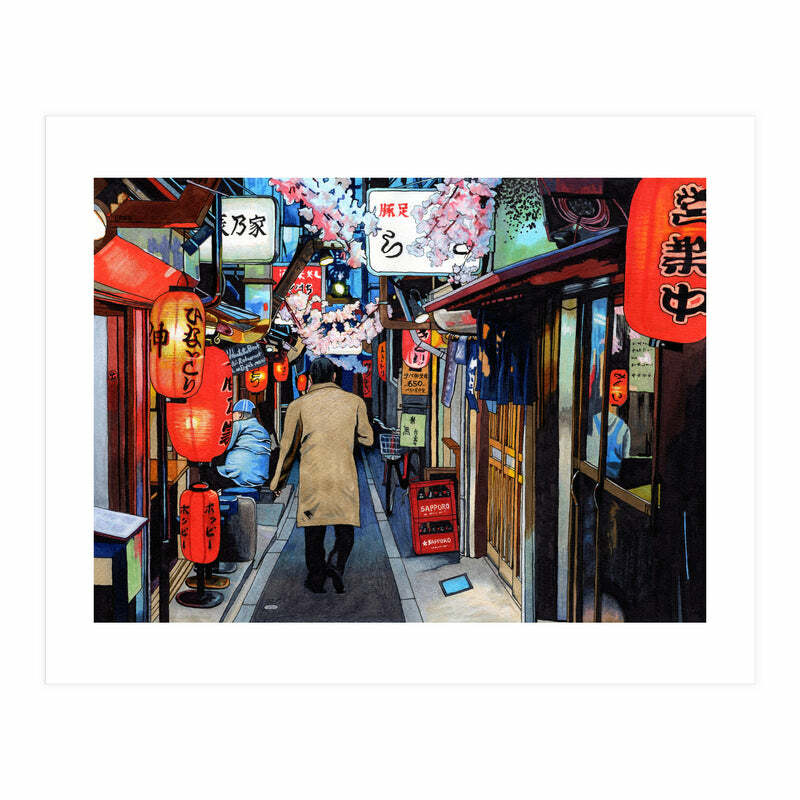 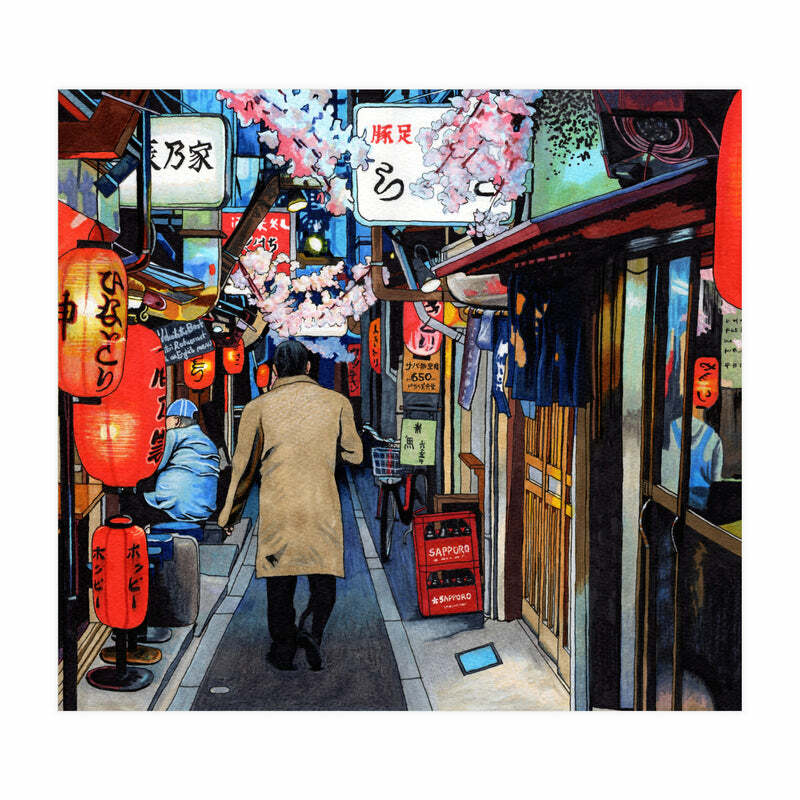 The work depicts a scene of a famous laneway in Tokyo which is now called "Memory Lane". 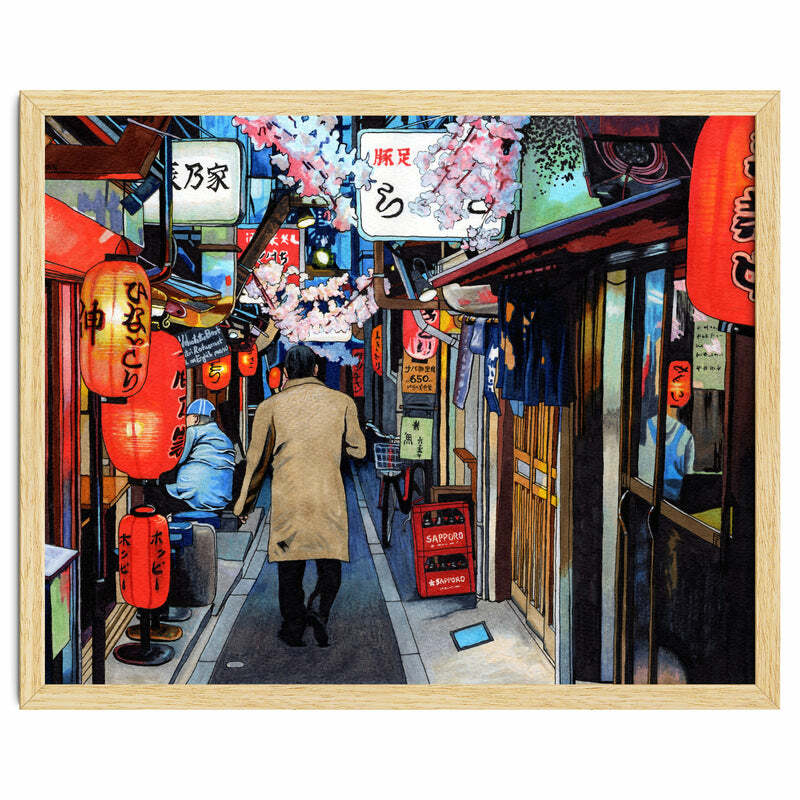 There are many Yakitori restaurants there. They hang fake flowers and leaves in the laneway, depending on the time of year. Because it is spring, there are fake cherry blossoms. 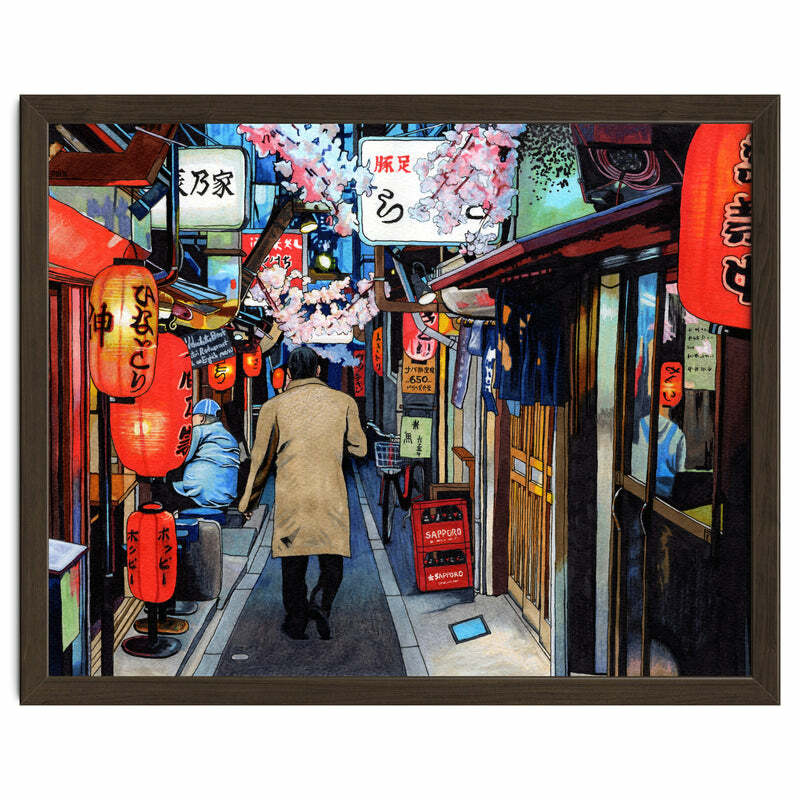 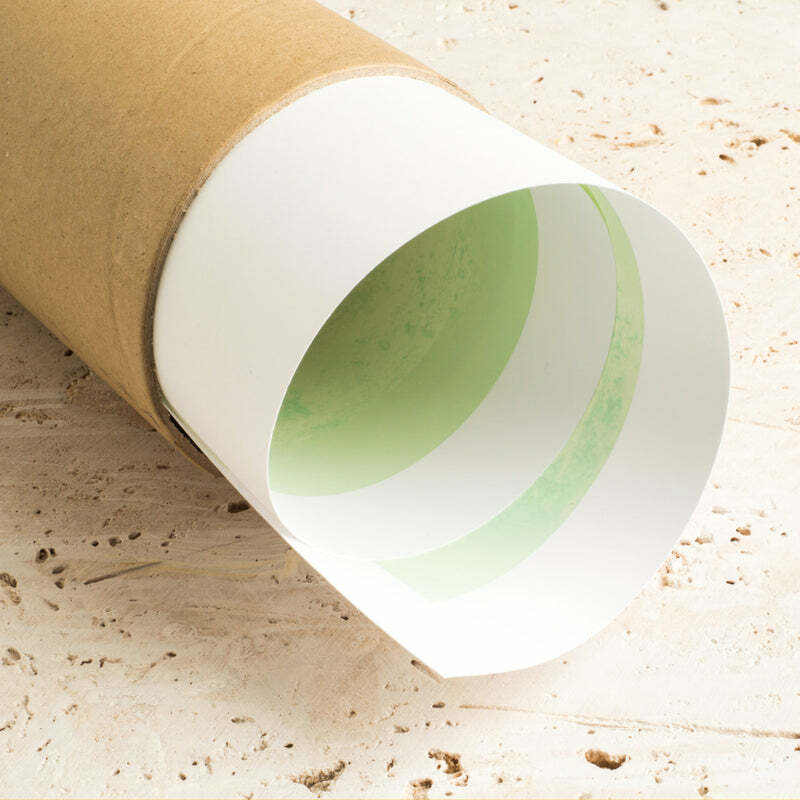 I love the intensity of the colours in this piece.